As humans, we often do not consider ourselves to be a part of the animal world. The animals, however, have another point of view. They can see our fancy technology, but they know that deep down we are still beings with beating hearts and compassion. 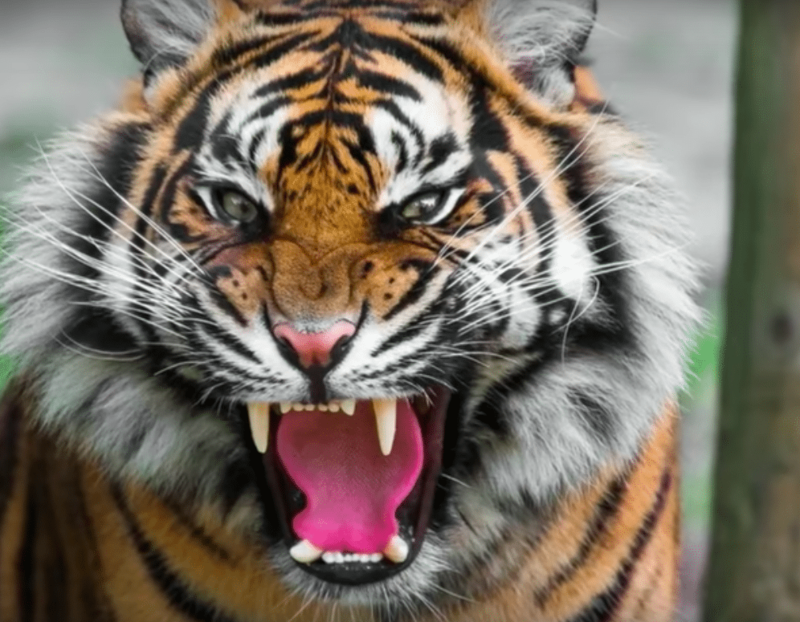 One tiger, in particular, proved that humans aren’t so removed from the others after all. It was a snowy day in Siberia when a local resident decided to leave his home. That might sound like an easy action for most of us, but he was met with a shocking obstacle. Once he looked through the window, his whole day changed. 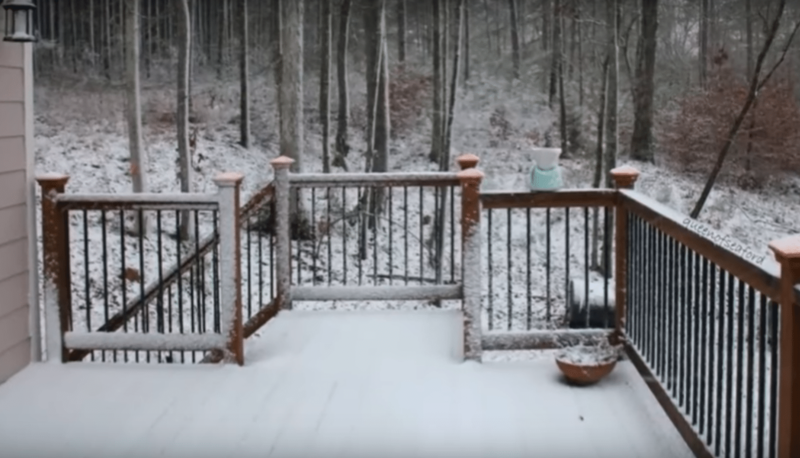 Alexey Khaideyev wanted to go outside into his yard, but when he pushed his door to open it he found that it was stuck. Something seemed to be pushing back against the door, preventing Alexey from leaving. The man was completely perplexed. “Through a crack in the door, he could hear something strange,” explained Alexey’s neighbor, Galina. “It sounded like a low growling.” Suddenly he knew he had to take a look at whatever was barricading him in. 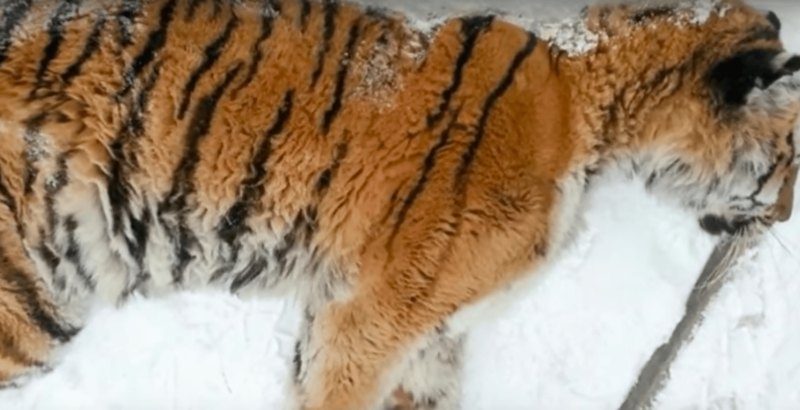 A full-grown Siberian tiger was laying right there on the front porch. She was on the ground, and she looked exhausted. Panicked, Alexey jumped back inside and called the Ministry of Natural Resources. They dispatched a team to take the tiger and examine her. Unfortunately, the roads were icy. It would be hours before the rescue team arrived at the scene. Alexey contented himself with waiting inside until he didn’t have to dodge a tiger to leave his home. 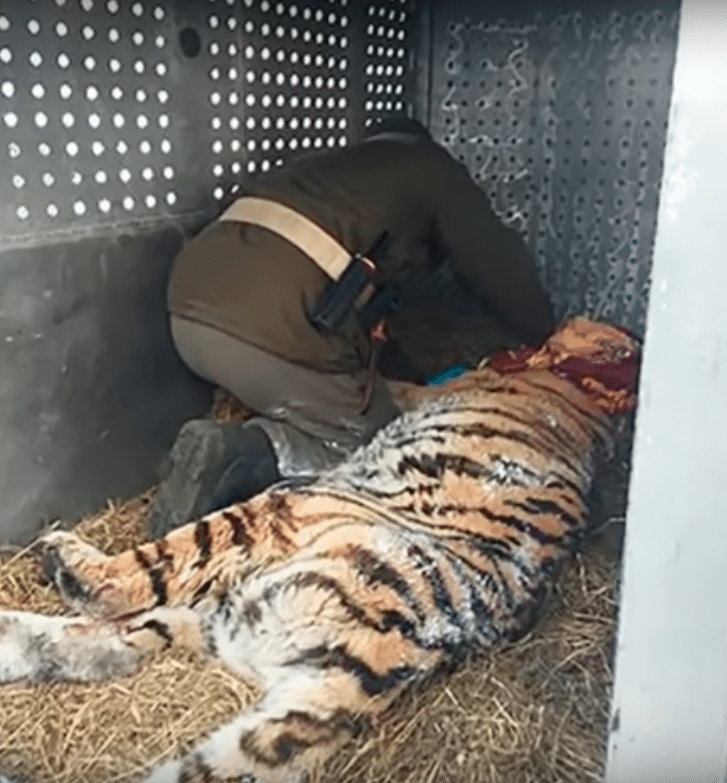 The team arrived and tranquilized the tiger. They brought her back to their facility where they could get a better look at her. 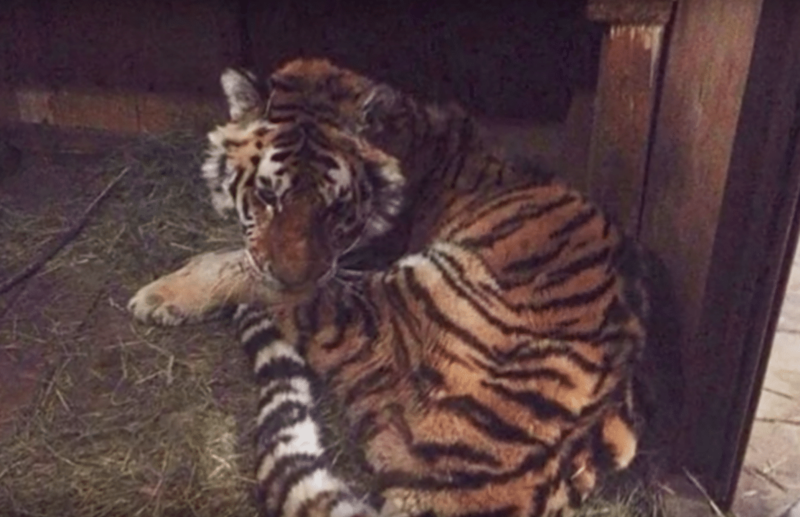 Aside from just being exhausted, this big cat was dealing with some major health problems. She was 10 years old, and she didn’t have any front teeth. Additionally, she suffered from a gum infection that made eating quite difficult. This was the reason she had been so exhausted. The tiger was calm during her examination. She allowed the humans to work on her without any trouble. It was as if she knew that the humans could help her in her desperate situation. Her caretakers speculated that that must have been the reason she showed up on Alexey’s doorstep unannounced. 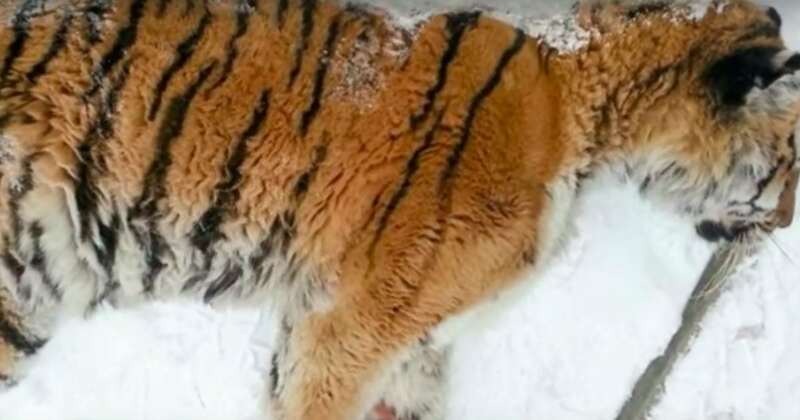 The stakes for this tiger’s recovery were pretty high. 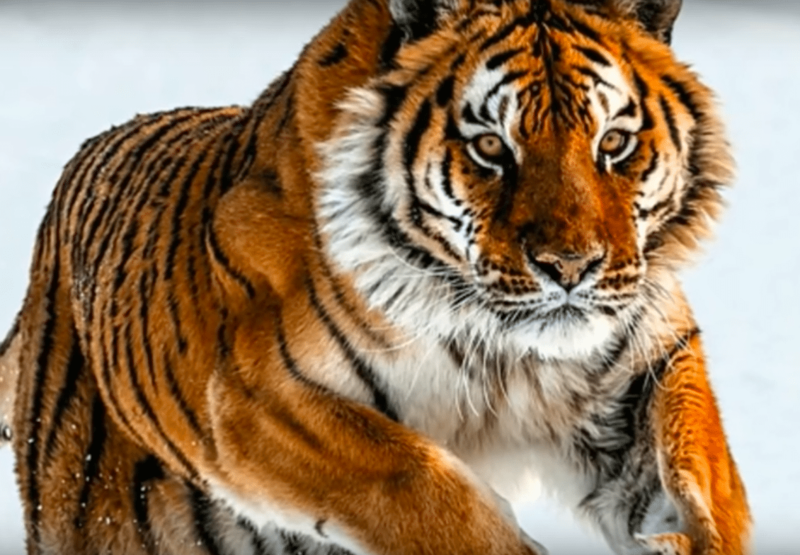 There were only 500 of the tigers left in Siberia, and as a female, she played a vital role in keeping up the population. A full recovery would be more than an individual success; it would be beneficial to the entire species. 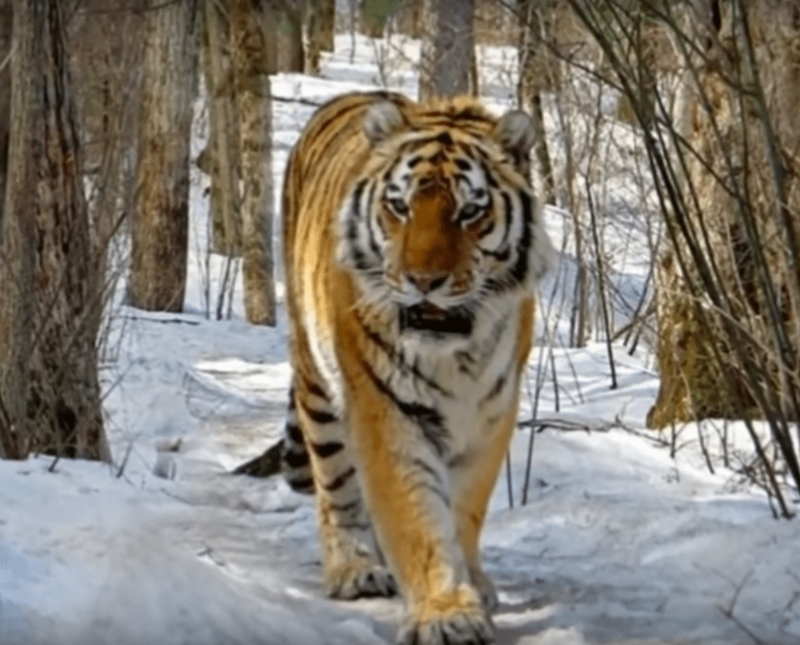 The tiger was brought to the Amur Tiger Center, which was “established by the Russian Geographical Society at the initiative of President of Russia Vladimir Putin to study and preserve the Amur tiger population.” Unfortunately, she got a little more restless once she arrived. She wouldn’t allow people to approach her; she defended herself by using her claws to make up for her missing teeth. This threw a huge wrench in the rescuers’ plans. They couldn’t work on the tiger without tranquilizing her, but in her fragile state, this could prove a deadly action. Still, since she was a female who hailed from a dying breed, they decided to give the medicine a try. At first, the tiger seemed to recover. She began to eat meat that was laced with antibiotics, although before she had been too sick for solid food. The medics hoped that this would be the beginning of a steady recovery. They were let down, however, after just a couple weeks. The tiger stopped eating again, she was exhausted, and she had no body fat. She ultimately lost her life to natural causes. The rescuers had done all they could, but it just wasn’t enough. 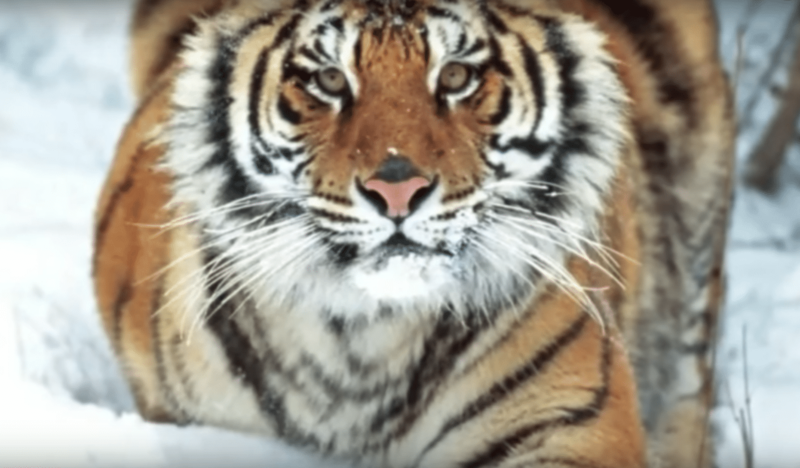 This tiger might not have pulled through, but her species is recovering. The population is seeing a growth spurt that is leaving scientists with high hopes for the future. On the outside, we might look different, tigers and humans. But we are tied together through love and compassion. When the tiger felt she couldn’t carry on, she entrusted her life to a fellow being of the planet. Her bold action reminds us that underneath it all, we are all one. Source: You Should Know ?